If you live in Raleigh, North Carolina, or anywhere throughout the Wake, Durham, Orange or Johnston County areas, and you or a loved one faces charges for DWI, Felony, Misdemeanor, or Traffic offenses, you can turn to The Law Office of Christopher R. Detwiler, PLLC, for the quality defense counsel and dedicated support you deserve. Chris is ready, willing, and able to represent you. Chris is not the type of attorney who just wants to collect the fee, plead you guilty, and move on to the next case. A North Carolina native, Chris genuinely cares about the legal issues that affect the members of our community, and he is fully prepared to fight hard to protect your rights and liberties as he aggressively pursues the most favorable outcome on your behalf. 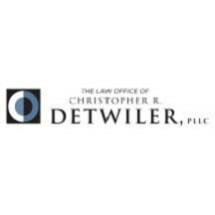 Our law firm's founder, attorney Christopher R. Detwiler, a graduate of the University of North Carolina Law School and licensed to practice in the state of North Carolina, has a varied background. Before law school he was a Staff Assistant for a U.S. Congressman and a Legislative Correspondent for U.S. Senator. During law school he interned for a Federal District Court Judge and the North Carolina Attorney General's Office. Since then, he has worked passionately to serve his clients, successfully making the best out of a bad situation. He is happily married to Wake County District Court Judge Sam Hamadani, and they both share a passion for the law. In his free time, Chris enjoys soccer, golf, skiing, card games and cooking. To receive a free initial consultation, you should contact The Law Office of Christopher R. Detwiler, PLLC, as soon as possible to increase your chances of successfully challenging the charges against you. You make the call, and he will handle the rest.